We ride English style saddles at Falling Creek. If you don’t know what that means, you can learn it in the first day of Horseback Riding! 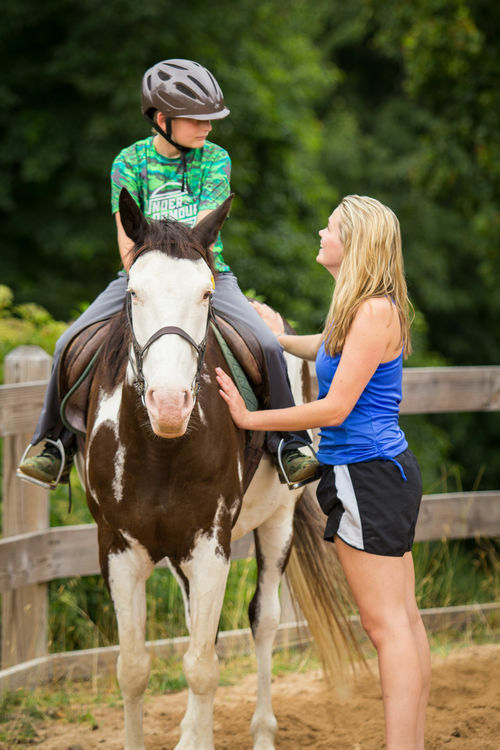 Horseback is available daily as a two period block activity. You’ll need to wear Long Pants and Closed-Toe shoes. 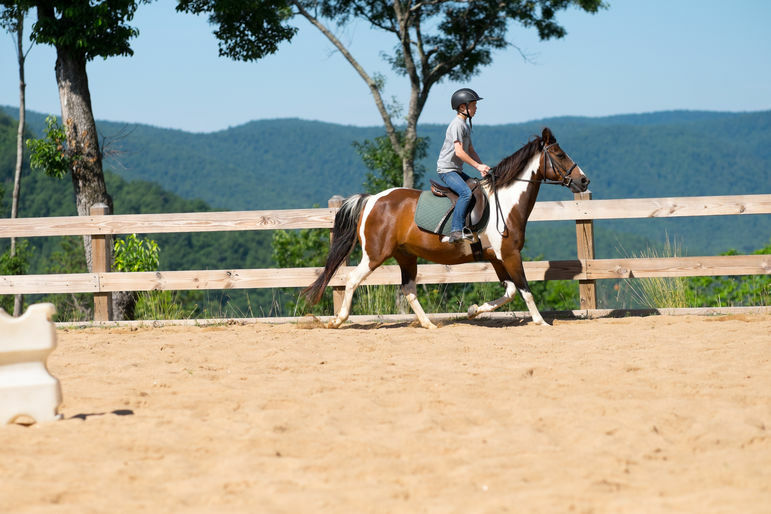 The Progression in the horseback program uses a “band” system. Campers earn different colored bands based on what they accomplish at camp. It includes barnwork and ringwork. The progression is (Scout) Yellow, (Explorer) Green, (Challenger) Blue, (Ranger) Red, and (Warrior) Black. If it’s your first year, you may only get two or three bands completed. When you return next year you might make it all the way to Black.